From Radio Free Europe/Radio Liberty: "During a routine briefing this week in Brussels, a NATO spokesman regaled convened journalists with a 10-minute barrage of statistics. A distillation of a report given to NATO ambassadors earlier that day, the figures showed there had been a 64 percent hike in insurgent attacks in the period January-April 2009 as compared to the same period in 2008. 'IED events' -- explosions and discoveries of Improvised Explosive Devices -- had gone up by 81 percent. Casualty figures caused by IEDs had declined by 9 percent. Civilian deaths were down by 44 percent, kidnaps and assassinations by 17 percent." 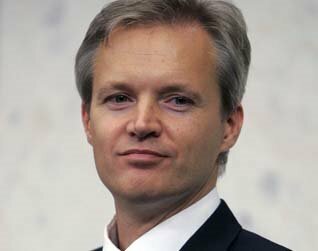 Sweden's Defense Minister, Sten Tolgfors, reveals in an interview that NATO membership is not on Stockholm's agenda. From Defense News: "Q. What is the government's position on joining NATO? A. Membership is not on the political agenda during this government's four years in office because of an agreement between the four parties in government. I think it is much more important to talk about the content of our cooperation with NATO, which is extensive in Kosovo and Afghanistan. In one month, we will perform the Loyal Arrow exercise in northern Sweden, which is a crisis management exercise based on a U.N. mandate. This involves Sweden and Finland, but also NATO as an organization and several NATO countries. This is a good example of how we can cooperate, increase our capability and interoperability. The answer Seibert and Peter Lehr give when asked whether the four missions suffer from a lack of cooperation is clear: 'I would say they are hampered at the moment,' argues Lehr, a piracy specialist at the University of St. Andrews. He points out that the different missions have different chains of command, different rules of engagement and operate under different domestic laws. That means that for example Dutch or German warships can only apprehend pirates if they pose a threat to their national interests, explains Lehr. 'Recently a Dutch warship arrested pirates and freed Yemeni hostages, but then realizing that no national interest was threatened they had to release the pirates, which means they had to bring them on the shore again, letting them actually go back to their pirate ports and then strike again,' says Lehr. 'That's the problem.'" From strategypage.com: "While the French Army has recognized the importance of smart bombs and missiles, they found themselves poorly prepared to make the best use of these weapons when they sent troops to Afghanistan. They had several problems. First, they did not have enough FACs (Forward Air Controllers, teams trained to call in warplanes and smart bombs), and those FACs they had often lacked good enough English to deal with the non-French pilots. NATO pilots, like international commercial aviation pilots, use English as a standard language (for working with ground controllers and each other). Unlike pilots, the French FACs don't practice their English regularly, and have problems communicating with non-French pilots. Another problem was that the French FACs didn't have the Rover terminal (which allows U.S., and most NATO, FACs to see what pilots see via their targeting pods) . . ."
"In Afghanistan, everyone shares the same pool of warplanes and helicopters, and many other forms of support as well. Interoperability is essential. Decades of NATO efforts to develop interoperability standards for basic things like communications, air and artillery support, supply and medical evacuation, have paid off. Not perfect, but not a lot of costly confusion either. The French now have to play catch up after decades on their own." From Air Force Link: "A group of Airmen with the 100th Air Refueling Wing traveled to Tampere, Finland, May 2 to participate in a week-long exercise with Navy and Finnish Air Force F-18 Hornet pilots. 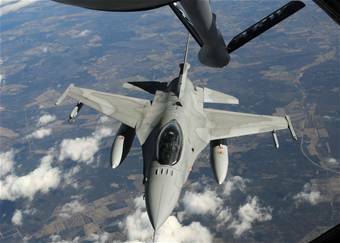 The exercise marks the first time United States Air Forces in Europe has deployed a tanker team to Finland for an air-to-air refueling operation. The Finnish Air Force has been flying F-18s since the mid-1990s, but air-to-air refueling is a fairly new concept to the country's Hornet pilots. According to the Finnish Air Force's 21st Fighter Squadron, some of the unit's pilots have refueled other aircraft in air, but the majority of them are inexperienced with the procedure. The captain said the training helps the squadron, and the service as a whole, meet a government requirement to be able to deploy outside Finland to support NATO forces. Although Finland is not a member of NATO, it is a part of the organization's Partnership of Peace program, which USAFE also supports. 'This opens our eyes to a much wider operating area,' said the captain. One of the primary missions of the 100th ARW is providing air refueling support to the United States' European allies, said Capt. Aaron Torczynski, KC-135 aircraft commander. The 100th ARW is the sole refueling unit for the European theater, supporting NATO members and broadening the range of air assets flying around the globe." From canada.com: "'I can tell you from the senior Canadian in this headquarters that I have been asked on several occasions by AFCENT (United States Air Forces Central) and CENTCOM (Central Command), `How can we get Canadian F-18s into the game over here?'' said Maj.-Gen. Duff Sullivan. 'And I've told them that that is a political decision back in Canada . . .'"
"'Whenever our troops are in trouble and taking casualties, every single time they call for air support -- armed overwatch -- that is what the Canadian F-18s would do,' Sullivan said, noting that Canada alone among the allies contributes combat ground forces in Afghanistan without also providing close air support." San Francisco State University professor describes geostrategic environment from Moscow's perspective. 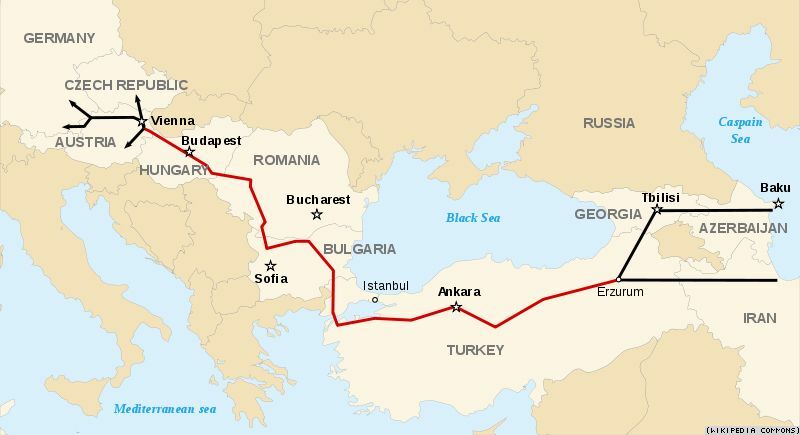 From Radio Free Europe/Radio Liberty: "Although Obama's efforts to 'reset' relations with Russia have been encouraging and although Georgia is entering a period of political change, the structural conditions for a great-power confrontation in the Caucasus remain in place. The Crimean War became possible because Russia could not defend the rights of its co-religionists without being perceived as a revisionist power. Today the European balance of power remains equally fragile. Russia cannot neglect those who turn to it for protection from state violence. Nor can the Kremlin ignore its own interests that have been jeopardized by NATO expansion and efforts to divert flows of Caspian energy away from Russian territory. In addition, many in the West continue to share the Russophobic attitude of Britain's Lord Palmerston by viewing Russia's weakness as essential for asserting U.S. and European interests in the region. Finally, the Caucasus has become heavily militarized and exposed to the use of force by various state and nonstate actors. To this day, Georgia has refused to sign an agreement on the renunciation of force with South Ossetia and Abkhazia." In interview on TV channel Rossiya, Russian President Dmitry Medvedev challenges the role of NATO and ignores the OSCE. From Russia Today: "The previous set of the European Institutions formed in the 1970s had been providing security in Europe. They’d played their role already. Now we have a range of state unions in Europe. We have the North Atlantic Alliance, but we don’t have a universal platform for considering all the issues. The idea of the European Security Treaty was related exactly to that. What’s been happening in the 1990s and in the present decade? Unfortunately the situation is Europe hasn’t become more secure. On the contrary, we are explained that security has been maintained in Europe by the means of expanding one military political bloc." 1971 as acting secretary general, and between 1973 and 1979 as deputy secretary-general in charge of scientific affairs. The Turkish government openly expressed opposition to Denmark’s former Prime Minister Anders Fogh Rasmussen running for the chief NATO post due to a number of reasons, including his failure to handle the 2006 crisis over the publication of cartoons depicting the Prophet Mohammed and Denmark’s refusal to revoke the broadcasting license of Roj TV, which Turkey says is a mouthpiece for the outlawed Kurdistan Workers’ Party or PKK. But the crisis was settled, as some reports suggested, after Turkey was convinced it would obtain a senior position within NATO in return for its acceptance of the Danish premier." Anne-Grete Strøm-Erichsen, Minister of Defense of Norway, addresses security issues in the Arctic and calls for changes in NATO.